With the wide range of options for a Point of Sale System these days it can be a bit daunting to figure out which type will meet all your needs. Especially with the adoption of tablets and mobile devices as substitutes for a traditional computer, sometimes price may not be the driving factor in your decision. Making sure you can process all the types of payments your customers will use, integration to other software systems, and transaction security are some of the key concerns when figuring out what type of system will work for your business. This infographic is a great primer and comparison of mobile vs traditional POS Systems to get you started on your decision. 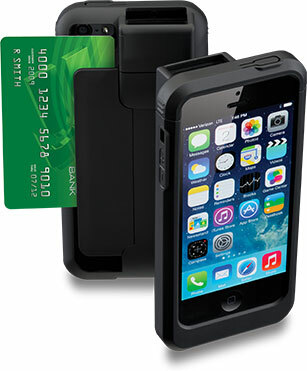 As any questions come up, feel free to contact one of our POS specialists at Barcodes, Inc for further assistance. The Veteran’s Health Administration (VHA) is the largest integrated health care system in the United States (U.S.). In FY 2012, VHA delivered clinical services to approximately 6 million Veterans out of 8.8 million enrolled. VHA operated a wide range of facilities and programs including 152 hospitals, and 821 community based outpatient clinics. Each location strives to excel in six metrics: Effective, Equitable, Safe, Timely, Patient -Centered, and Efficient. The introduction and administration of ID card and visitor management tackled both the Safe and Efficient quadrant. With the vast number of independent facilities, the VHA benefits by tracking their physicians, medical staff, patients and visitors. For permanent employees, the hospital increases security by providing ID Cards to registered employees of the hospital, enabling their personnel to access certain parts of the building without limitation. The badging of employees also provides extra security to patients who know which employees are registered with the hospital. The Internet of Things with Zebra and Barcodes, Inc. The Internet of Things (IoT) is the coming connectivity of everything you own, everything you see. No longer will access to the internet be limited to single point interfaces like your phone or computer, or single-point data sources like web pages or servers. Nor will it be limited to you! Everything you see can, and someday will, be interconnected and sharing data: your tv, your refrigerator, your home, your car, the roads you drive on, the building you work in, the package you’re delivering… everything. IoT will affect the way we live and work. IoT will impact every industry out there: Healthcare, Manufacturing, Transportation & Logisitics, Retail, Hospitality, Warehousing, and so on. Your competitors will be embracing IoT capabilities to find a competitive advantage, the same advantage you want to get first. The advantage that comes with speed, efficiency, and a clear view of your assets and operations, your people and inventory, 24/7 in real time. 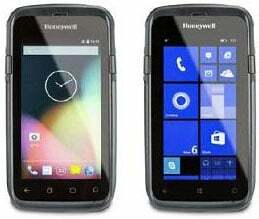 Honeywell is pleased to announce our most advanced enterprise-ready 4G/LTE handheld computer, the Dolphin CT50. Targeting frontline mobile workers in scan-intensive workflows such as on-demand delivery, field service, and customer engagement who require anytime, anywhere connectivity to business-critical applications, the Dolphin CT50 offers the modern conveniences of an all-touch smartphone and the highest degree of future proofing. With support for either Windows or Android operating systems, the CT50 is a truly connected device that combines a design focused on ergonomics and reliability with industry-leading performance to enhance productivity, ultimately delivering a reduced total cost of ownership. In hospitals and clinics, mobile computers help nurses and lab technicians improve the quality of patient care and save lives by providing instant access to a wealth of business-critical information: real-time lab results, a change in a patient’s condition, or verification of the ‘5 rights’ of medication administration at a patient’s bedside. Zebra’s MC40-HC is the perfect blend of enterprise functionality in a familiar smartphone form factor that can empower your healthcare staff to improve their daily operations providing more time for patient care. When it comes down to choosing the right technology for tracking anything from products in a warehouse to people at an event, the 2 main options today are Barcodes or RFID. Most people are familiar with barcodes and RFID is becoming more and more common place but the differences between them may not be so clear. The first big difference you’ll find is the cost between RFID and barcodes. This infographic is a great primer on the capabilities of each technology to help you decide if the the cost difference is worth it for your application. As always, feel free to contact one of our data collection specialists to get the perfect solution for your needs.